Right after HP and a bunch of other tech vendors, Acer has upped their game for their budget Chromebooks lineup and announced the Chromebook 512 and Chromebook Spin 512 at the 2019 BETT Show in London. Chromebooks are usually categorized in the ‘student-friendly’ category. It is due to the affordability and the sturdiness that the Chrome OS based notebooks are usually built with. But to get one step ahead, Acer threw in a Windows based option as well in their educational lineup. The TravelMate B114-21. Both Chromebooks have IPS displays of 12-inches and 1366 x 912 resolution. There is however, the choice for a convertible or a non-convertible version. And as obvious with the name, the Acer Chromebook Spin 512 features a 360-degree hinge. The hinge along with the Gorilla Glass antimicrobial coating, enables four different usage modes. A tablet mode for mostly reading, notebook mode for writing and sketching, display mode for getting a clearer view of the screen, and a tent mode for presentations, editing and collaborating. Another treat is the included Wacom electro-magnetic resonance (EMR) stylus. For its placement, there is dock embedded in the notebook’s body itself. Sounds pretty chic for a budget notebook, doesn’t it? The Acer Chromebook Spin 512 comes with an amazing 8 MP world facing HDR webcam, with auto-focus and an 88-degree wide-FOV. Both Chromebooks deliver an exceptional battery backup, ranging up to 12 hours that means day and night support for students for at least a couple of days. Not only are these notebooks extremely elegant, interactive and cheap but also come with military grade robustness. These babies can withstand drops from a 4 ft height and can handle up to 60 kg (132 pounds) of exerted force. All possible due to the strengthened design and shock-absorbing bumper. Another unique factor of these laptops is that they meet two major toy safety standards and have been declared safe for use for kids. 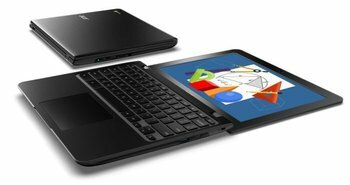 This might be credited to its moisture resistant touchpad and spill-resistant keyboard. It drains any liquid out of the bottom of the chassis, providing protection to the internal components. 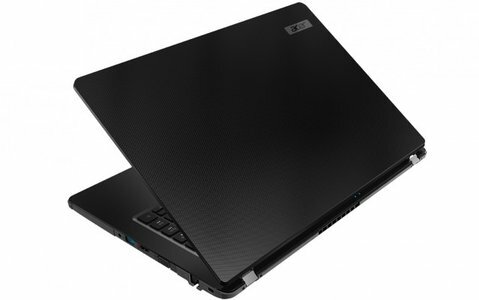 For the configurations, Acer has loaded these notebooks with an Intel Pentium Silver N5000 processor, an 8GB of RAM and 64GB of eMMC storage, with lower configuration options also available. Acer has priced both these notebooks for under $500 which is affordable enough for struggling students and for parents supporting them. The Acer Chromebook Spin 512 starts at $449.99 and the Acer Chromebook 512 comes in at $329.99 with their availability expected around April. MORE: Acer Aspire 1 Review – The Best Cheap Notebook? Now its quite understandable for techies to disregard Chromebooks completely no matter how flashy they might be. Considering the instability of Chrome OS with certain apps and its limitations. To cater such users, Acer also released a Windows-based, budget learning companion for students. Now what makes this notebook categorized under ‘educational’, is its S mode feature. The laptop’s configurations go up to a 7th Gen AMD A6-9220C processor with integrated Radeon R5 graphics, 16GB of RAM for efficient multitasking and a fast 256GB SSD storage. These combined, ensure powerful support for learning activities and some decent softwares. It also features a generous selection of ports. Including 1 x USB 3.1 port, 2 x USB 2.0 ports, a 3.5mm headphone jack, a memory card reader, an Ethernet port and an HDMI 2.0 port. However, it misses out on the USB Type-C port. What Acer has kept uniform among this educational lineup release is the military grade strength of the machine. And yes of-course the affordable price tag. Compliant with the tough U.S. Military Standard MIL-STD 810G, the TravelMate sports a rugged rubber bumper with a shock resistant body. These altogether make the laptop resilient to almost all kinds of bumps, and hits. It can also handle drops from up to 122 cms. It’s good to see that despite the cheap cost, Acer has added a 14-inch FHD display, and a 180-degree hinge to this laptop’s specs. Acer claims that the TravelMate will offer up to almost 10 hours of battery backup, coming quite close to the Chromebooks. Acer has priced TravelMate for around $320 and is expected to release it for purchase by mid-year 2019.